One of the regulations Obama implemented while in office was new training requirements for new projects implemented by the EPA. 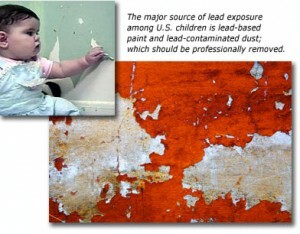 For many years old buildings have been painted with lead based paint harming those who inhale the lead dust especially children. To address this problem, the EPA required extensive training from their workers before they complete renovation on buildings built before 1978. The workers are concerned about the extent of the of the training which began last year April and the penalty fee of noncompliance which is $37,500 per day fine.In an announcement dated September 2, 1977, “The U.S. Consumer Product Safety Commission (CPSC) has culminated a major regulatory proceeding by issuing a final ban on lead-containing paint and on toys and furniture coated with such paint. This action was taken to reduce the risk of lead poisoning in children who may ingest paint chips or peelings.”.